You have felt it - this urge. You have thought it to yourself, and perhaps you have even said the words out loud. Perhaps you sat with friends or family and said "I don't know, I just think I am supposed to be doing something else". You may have even found yourself saying "I think there is supposed to be more, I just wish I knew what my purpose here was". These questions are those which have haunted mankind throughout all of time. In every language and spanning every age, every generation, nearly every person who has ever lived has asked some form of this question; "What am I supposed to do with my life". Yet, finding and living their purpose is something rare. For some reason, people question but do not quest, they wonder, but they do not follow the voice within. In some cases, people settle. In most cases, people spend most or all of their life waiting, without ever knowing what it is that they are waiting for. Those that break the pattern, those who dare to dream, find a life that is deeply profound, that has meaning, is worth living, and which is different for each of them. You have felt moments in your life - moments of purpose and of meaning. You have had profound moments and experiences when you felt truly alive -when the world was filled with wonder and hope, when life was so, so very rich. Then, you returned to your normal life, you turned away from wonder and hope and rejoined the masses, spending your days in a life that you never consciously selected, that somehow just happened. Sometimes, you think about those moments, sometimes you try to get them again, only to find them elusive, like mist or a fading dream. You chase the experience only to find that it does not hold up against the memory. 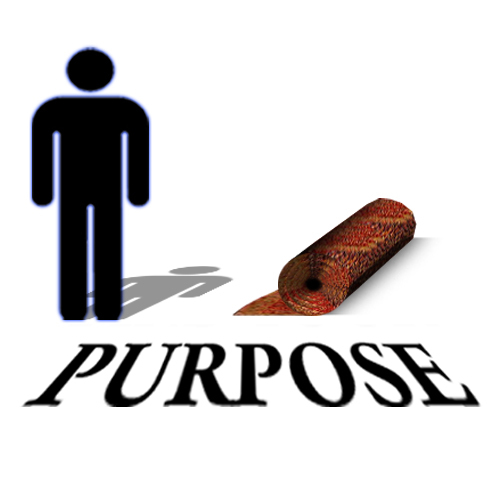 What would it be like if your entire life was spent living according to your purpose? What would life be like, if those profound moments were expanded so that they were your average day? Expanded from the original presentation, this two day workshop takes participants on a journey through their own lives, exploring the mundane and contrasting it with the profound. Experiential exercises allow the participant to find the profound, to experience the moment as it would look to someone else, to compare their lives to the lives of those whom they view as lucky, as gifted, as great and to find that which fills one with awe and live it moment by moment every day. They will discover the habits and influences that drag them back into the mundane, take with them tools that will forever enable them to live life on purpose, to live in purpose, to truly live.